“Thought Leadership”, the guiding concept for this year’s Food ingredients Europe, is echoed in the 2017 Fi Europe Innovation Awards. With ten newly created categories spanning all industry sectors, the Awards recognise and reward the ability to demonstrate and stimulate innovation. Especially for young start-ups, FiE offers an exclusive platform: After last year’s inaugural success, the second Start-up Innovation Challenge invites companies to share a pioneering project with a broader audience. 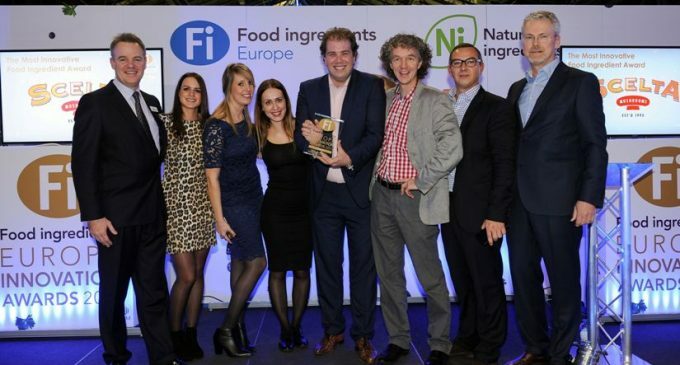 Both the Start-up Innovation Challenge and the Future of Nutrition Award, one of the ten Fi Europe Innovation Awards categories, are open to FiE exhibitors and non-exhibitors alike. The other nine Fi Europe Innovation Awards categories are open exclusively to Fi Europe & Ni 2017 exhibitors. Closing date for entries is 22 September for the Innovation Awards and 23 October for the Start-up Innovation Challenge. Future of Nutrition Award for pioneering innovation by contributing to an environment that supports and nurtures progressive ideas likely to change the face of the food and beverage industry in the long term. Entry is open to all companies, whether exhibiting at FiE or not. Sustainability Champion Award for a measurable sustainability strategy that champions environmental or social sustainability in the food and beverage industry. Organic Champion Award for promotion of the organic category through marketing, improvement of traceability, growth of product lines or any other innovative ways of raising awareness and availability of organic products. Clean Label & Natural Innovation Award for developing the best Clean Label ingredient or process with functionality equal to a synthetic ingredient. Life Stages Innovation Award for the proven effectiveness of an ingredient or application that best promotes or supports health at one or more life stage, from conception to old age. Performance Nutrition Innovation Award for the proven effectiveness of a product that best promotes or supports an active lifestyle. Growth Categories Innovation Award for developing a high impact, innovative product for application in any of the following three fast-growing categories: dairy, bakery, beverages. Reduction & Reformulation Innovation Award for developing the best solution (natural or synthetic) within the last two years for reducing salt, sugar or fat whilst maintaining flavour, texture and functionality of the ingredient replaced. Expo FoodTec Innovation Award for developing high-tech/advanced services, technology or machinery for food ingredients processing or packaging. Workforce Equality Award for creating a work environment that offers equal opportunities for all employees, irrespective of their gender, race, religious background, sexual orientation, and physical or mental ability. After the closing date, the judges will generate a shortlist from the most promising applications. The day before FiE starts, those shortlisters will present their entries to the jury behind closed doors; the ten winners will then be announced to the public at an evening ceremony on 28 November. To enter the competition, projects must have been launched between 1 September 2015 and 1 September 2017. The assessment criteria as well as the application form can be found at awards.figlobal.com. The first ever Start-up Innovation Challenge took place during last year’s Health ingredients Europe. This year, young food and beverage ingredients companies will have a chance to present their excellence during FiE & Ni to a specialist audience of 25,000 trade visitors. In partnership with Naturex, Presans and Vaucluse Provence Attractivité, the Fi Global team will reward ten companies who have been in business for less than four years for innovative ingredients projects with a ground-breaking impact on the industry. For young companies, the Start–up Innovation Challenge offers a unique chance to present their projects to a jury panel of experienced manufacturers, R&D specialists, investors and start-up incubators for constructive feedback and consultancy. Above all, the ten shortlisted start-ups will be given the opportunity to pitch their innovations live at FiE & Ni in the bustling New Product Zone, and the winners will receive a personalised support program to further their growth. Start-ups can enter the Challenge via startups.figlobal.com. Best Innovation Award for stand-out ingredients projects. A personalised support programme combined with a lead generation campaign or a stand at HiE 2018 or FiE & Ni 2019 will help to boost the winner’s product or development. Best Natural Ingredient Award is offered to innovative projects promoting, amongst other things, new green tech extraction methods, plant extracts or natural ingredients concepts. The winning start-up will gain six months access to offices at Naturex’s headquarters with use of equipment and laboratories, complemented by regulatory and marketing resources.